Hit family comedy LAST MAN STANDING moves to FOX for its upcoming seventh season. 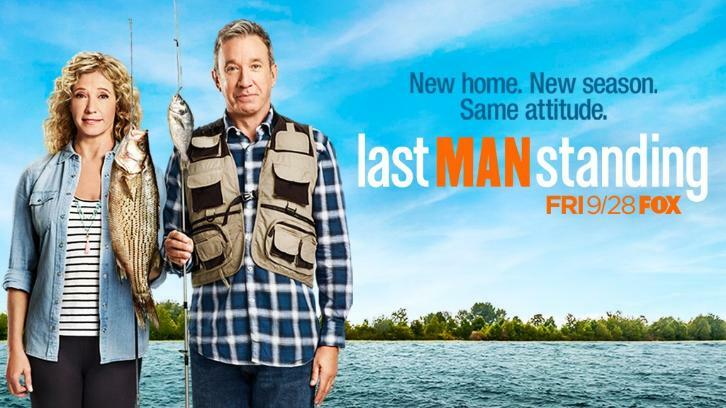 The series stars Tim Allen as MIKE BAXTER, a happily married father of three daughters, who finds himself the odd man out as he tries to maintain his manliness in a home surrounded by women. Mike tries to escape all the female energy at home in the warm, manly embrace of his job at the Outdoor Man store, a sporting goods emporium where he is marketing director. He also revels in his Outdoor Man vlog, which he uses as a pulpit for his opinions – and which often have nothing to do with the store’s merchandise. When he’s supposed to be selling mountain bikes or kayaks, he somehow ends up spouting off about the environment, health care, international politics or any other topic occupying his mind. In addition to Allen, the series stars Nancy Travis as Mike’s wife, VANESSA; Amanda Fuller as their oldest daughter, KRISTIN; Christoph Sanders as Mike’s charmingly naïve co-worker, KYLE ANDERSON; Jordan Masterson as Kristin’s husband, RYAN VOGELSON; Jonathan Adams as Mike’s frenemy/neighbor, CHUCK LARABEE, and Hector Elizondo as owner of Outdoor Man, ED ALZATE. LAST MAN STANDING is produced by 20th Century Fox Television. The series was created by Jack Burditt. Kevin Abbott, Matt Berry, Kevin Hench, Ed Yeagher, Tim Allen, Marty Adelstein, Shawn Levy, Becky Clements, Richard Baker and Rick Messina are executive producers. Abbott serves as the series’ showrunner.